Erfurt (map) is a historic city in the central German state of Thuringia. Located about 300km southwest of Berlin, Erfurt is famed for having one of the best preserved medieval city centres in Germany. 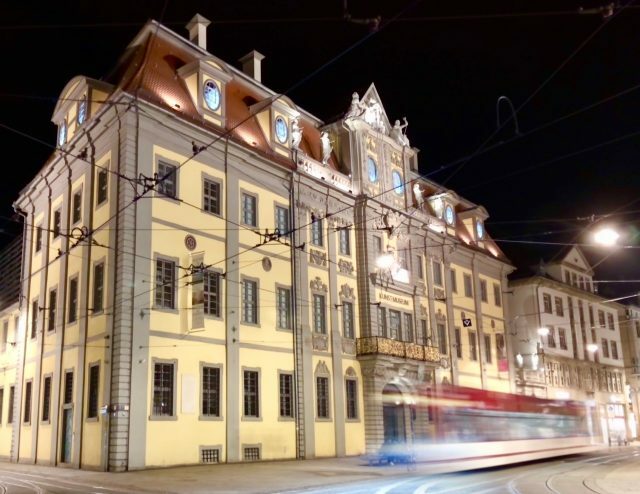 If you’ve been following me for some time, you’ll know how much I love medieval towns (such as these in Costa Brava or Bergamo in Italy), and Erfurt is a stunning example! 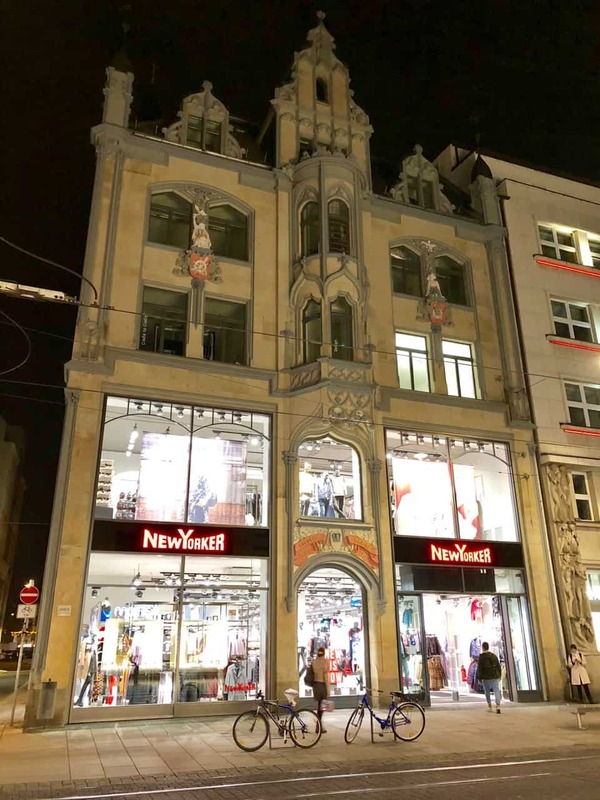 I visited the city as part of a tour exploring Bauhaus sites in Germany, and was really bummed that we were only spending a night there. The sun was setting when we arrived so I quickly dropped my bag in the hotel room and joined a walking tour around Erfurt. 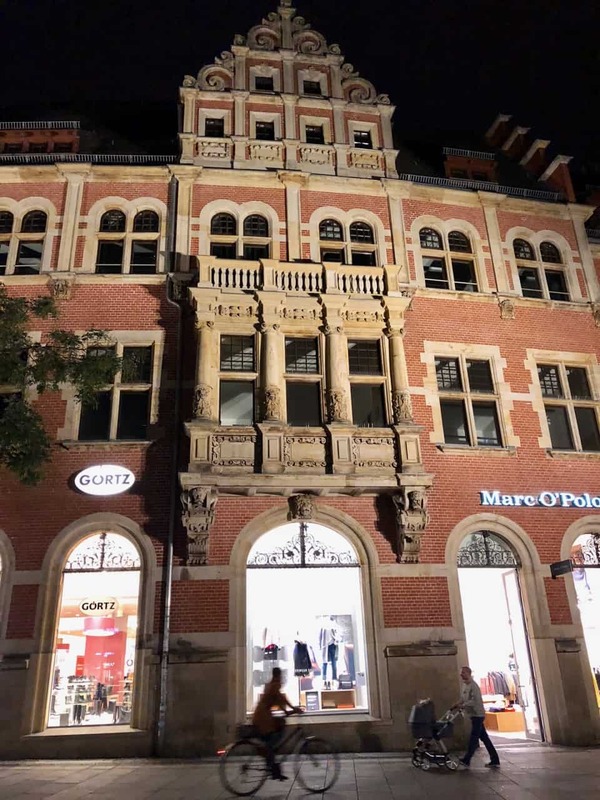 Scroll down to see my photos taken during my evening stroll of medieval Erfurt. 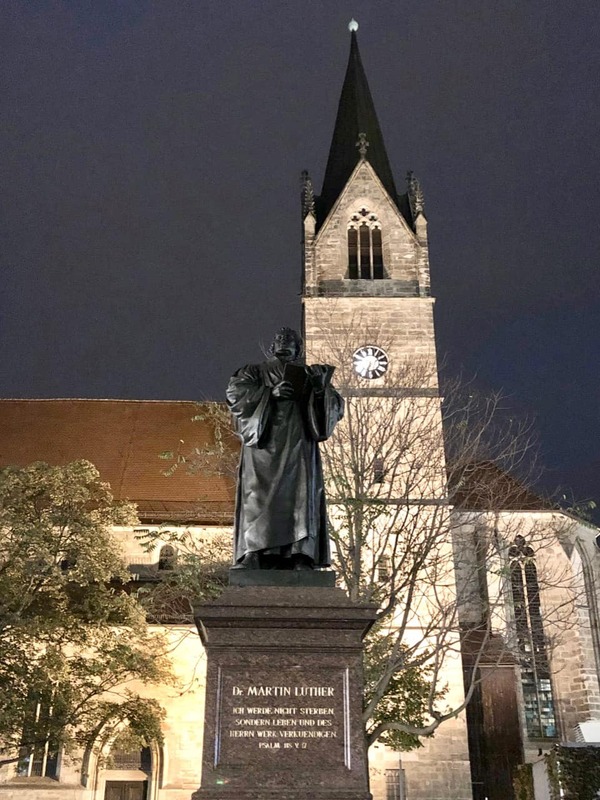 Our first stop was the statue of Martin Luther in front of the Gospel Church. Erfurt was where Martin Luther studied in the 16th century, became a monk and was later ordained. As such, Erfurt is one of the most important Luther sites in Germany. The Gospel Church is also the start (or end) of Anger, the main thoroughfare and shopping street in Erfurt. There are lots of architectural gems in this street, such as this gorgeous building which used to be the post office. 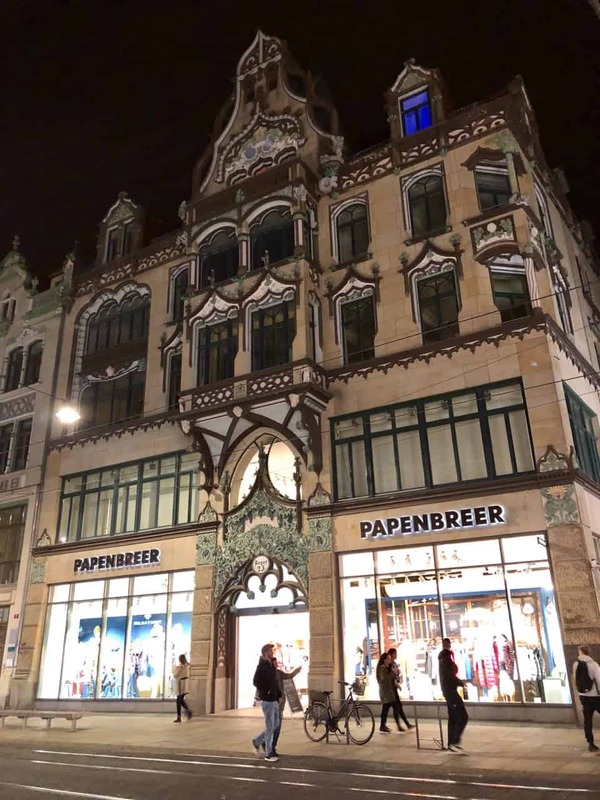 If you’re a fan of Art Nouveau architecture, Erfurt should be high on your list! There are various Art Nouveau buildings along Anger such as this stunning example at no. 23. Another gorgeous building on Anger (street)! From Anger, we made our way to the medieval centre of Erfurt. Our first stop, the Krämerbrücke (Merchants Bridge), was both fascinating and charming. The Merchants Bridge, a medieval arch bridge, spans the Breitstrom, a branch of the Gera River. Built in the 14th century, the bridge features a cobblestone street lined with gorgeous half-timbered dwellings. 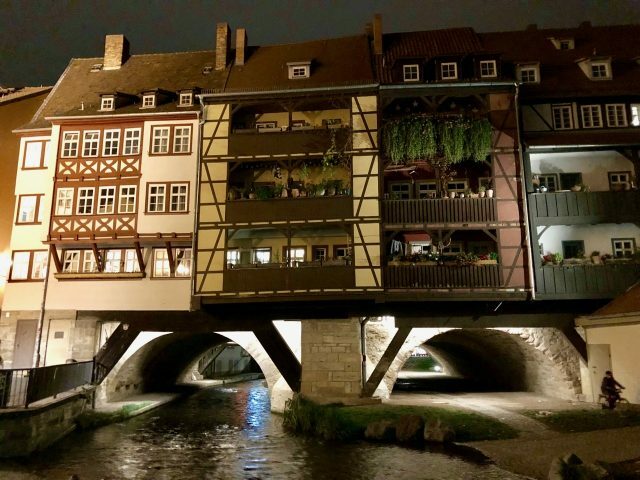 If you didn’t see the bridge from the banks of the river and simply strolled down the cobblestone street, you would have no idea that you were crossing a bridge! The buildings on the bridge are home to various shops and houses, some of which have been inhabited for more than 500 years! That makes the Krämerbrücke one of the very few bridges in the world that is still inhabited! From there, we made our way down to the Fischmarkt (Fish Market), a long square lined by beautiful buildings including the Rathaus (City Hall). From Fischmarkt, we made our way to the Kunstmuseum, another striking building. We soon arrived at the centre of medieval Erfurt, and arguably the most impressive square in the city: the Domplatz or Cathedral Square. St. Mary’s Cathedral (left) and St. Severus Church (right). The square is home to St. Mary’s Cathedral, the oldest and largest church building in Erfurt. A church existed on this site in the 8th century but the present Gothic-style Cathedral with its Romanesque towers stems from the 14th century. Martin Luther was ordained here in 1507. The Maria Gloriosa bell (from 1497) that hangs in the central spire is the biggest medieval bell in the world and still rings till this day! Next to the Cathedral, separated by an imposing staircase, is the St. Severus Church, with its equally-impressive spires. Domplatz or Cathedral Square. Apparently, the square is simply magical around Christmas when a large Christmas market is held here. 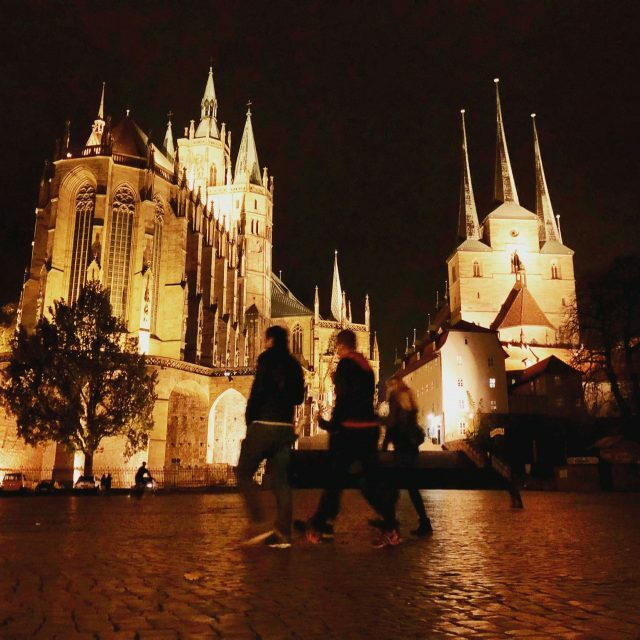 After that evening stroll around the centre of medieval Erfurt, I promised myself that I would return soon! First of all, I want to see the city in daylight! And secondly, my research has revealed a city full of historic and cultural attractions. 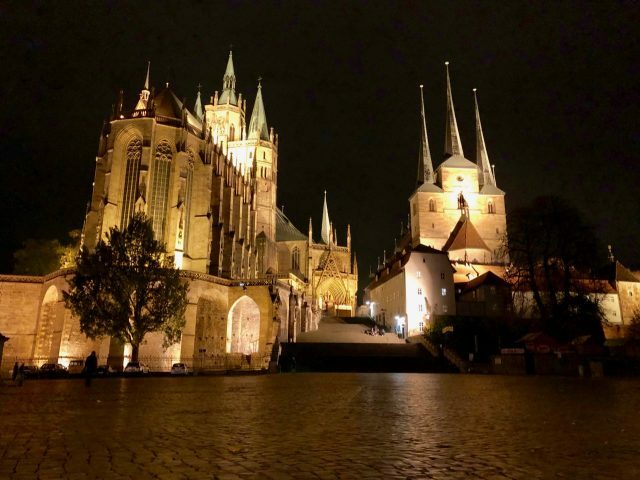 If you’re a fan of charming medieval towns and Art Nouveau architecture, add Erfurt to your list! 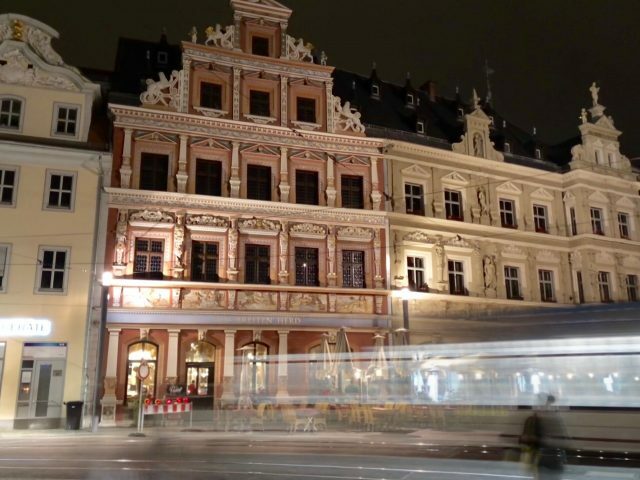 Visit Erfurt Tourism for more information. Haha! I know exactly what you mean. I especially love places like that. One of my other favourites is Matera: https://velvetescape.com/things-to-do-matera/ – it’s like taking a step back to Biblical times! The Domplatz or Cathedral Square looks so beautiful. Your photos look like I’ve traveled back in time but in a modern setting. Haha does that makes sense? Such a beautiful place! Stunning pics! Thanks for sharing!